Colorful and fun, this egg tray is sure to crack a smile. 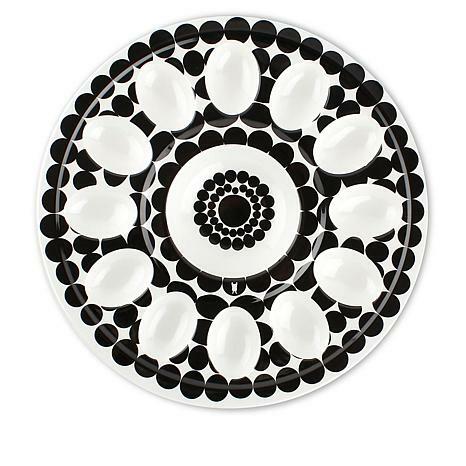 Perfect for outdoor picnics, neighborhood potlucks or parties, French Bull's egg tray holds 12 deviled eggs. And thanks to their melamine construction, they're perfect for both indoor and outdoor entertaining.